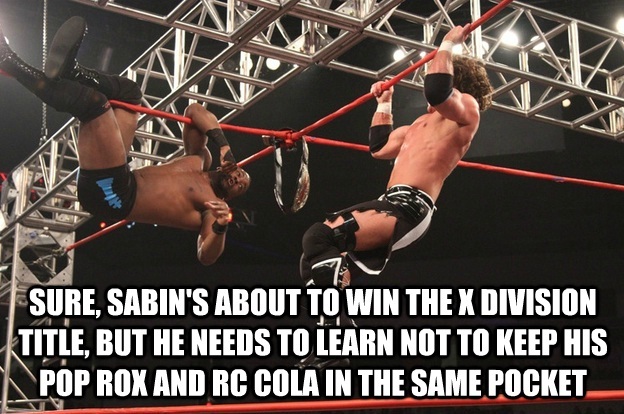 The Meme Event: TNA Slammiversary 2013 - WrestleCrap - The Very Worst of Pro Wrestling! Send all love, criticism, and general vitriol to Justin on Twitter! 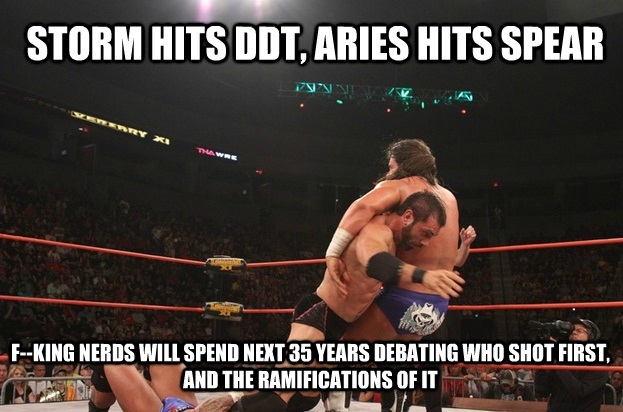 4 Responses to "The Meme Event: TNA Slammiversary 2013"
WOOOO, FINALLY a TNA Meme Event. Well done and hilarious as always, Justin! 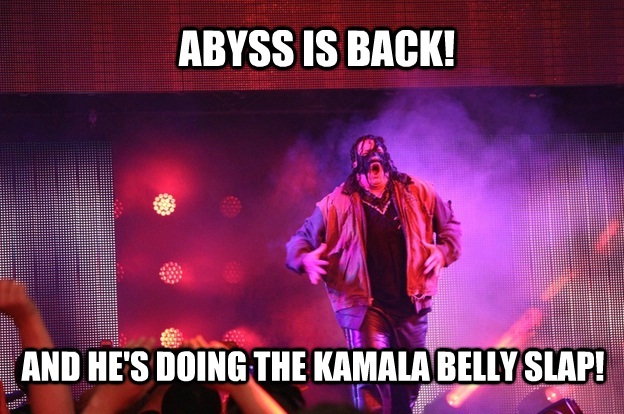 Nice to see TNA get the Meme Event treatment. 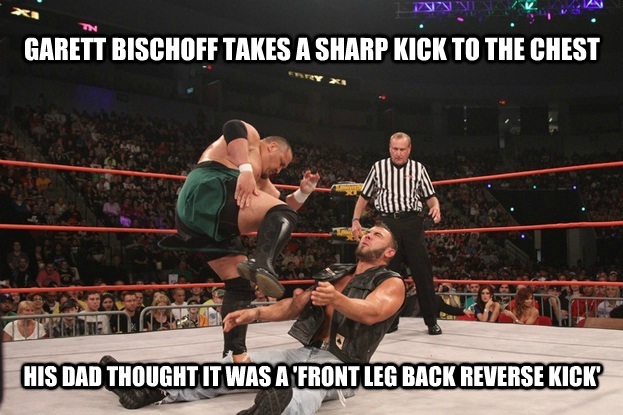 A great job spoofing a great PPV! 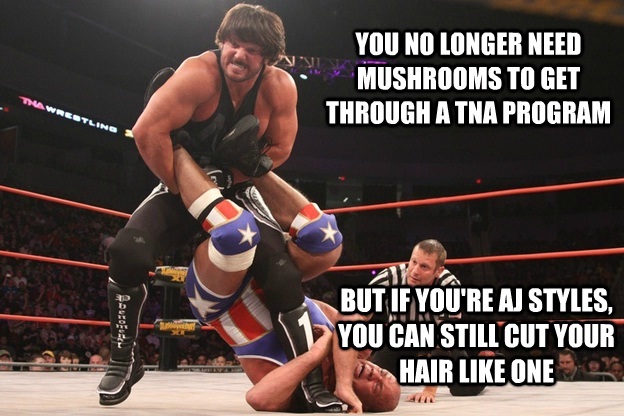 My god, what the hell is up with AJ Styles’ hair?